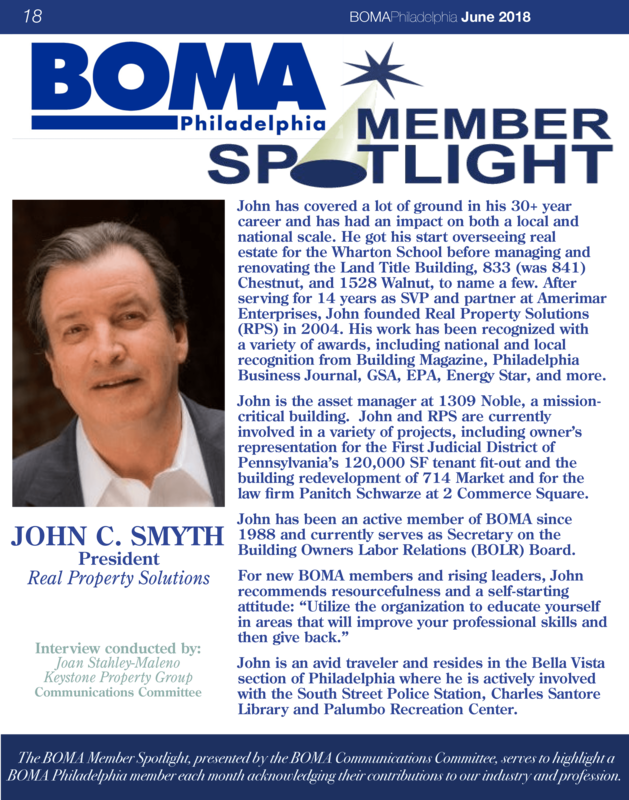 The Building Owners and Managers Association International (BOMA) of Philadelphia featured RPS founder and president John C. Smyth as the spotlight profile in their June members’ newsletter. Real Property Solutions (RPS) attended the EisnerAmper Private Equity Summit in New York City on September 24th. RPS now provides additional local and national services such as; property due diligence and conceptual repositioning right through project completion. The following are a few examples of the additional services, now including: property re-tuning, service contract/permit/inspection logs, fire/life safety programs, custom energy policies, BIM services, emergency planning, and risk management. Real Property Solutions traveled with PECO and other Philadelphia data center building representatives to the Data Center Investment Conference and Expo (DICE) held in Washington, DC. There were over 400+ attendees at the event and Real Property Solutions showcased the 1309 Noble “Mission Critical” facility at the PECO exhibition booth and during numerous working conference sessions. Kicking off Real Property Solution's 10th year in business, President, John C. Smyth was one of several panel members addressing issues and discussing opportunities at the first Bisnow- Philadelphia Data Center Boom seminar. 175+ were in attendance from the Philadelphia area. Real Property Solutions sponsored a real estate seminar presented by Bisnow. Real Property Solutions sponsored a real estate seminar presented by Bisnow. Over 200 property owners, managers and vendors were in attendance to hear a panel of experts speak on the future of Center City, Philadelphia. Real Property Soltuions had a Q & A with the Bisnow event director. Real Property Solutions selects Bisnow Media to lead them into their 10th year of commercial real estate consulting. 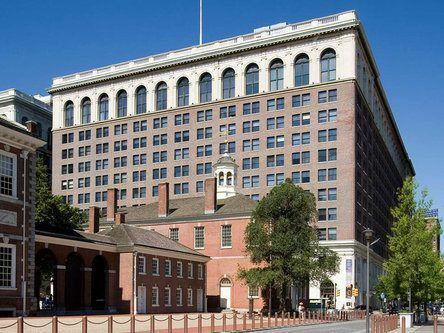 As the largest and fastest growing commercial real estate publication and event producer, RPS will partner with Bisnow in growing their brand recognition in the Philadelphia region and building owner/developer relationships.